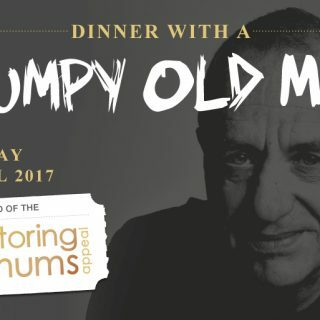 Join comedian, writer and actor, Arthur Smith, TV Presenter Nick Owen, and business colleagues who will include many from the world of house building, property development and commerce, for an enjoyable charity black tie dinner. Edgbaston is now the second largest cricket venue in the UK, with a capacity of just under 25,000, and will host many of cricket’s biggest matches in the coming seasons. The Warwickshire Suite shows off the superb view of the iconic pitch and a panoramic view of the Birmingham skyline, making a stunning backdrop for this event. Our Monitoring for Mums Appeal is already making a big difference! With the launch of our biggest ever appeal just a couple of weeks behind us we are already seeing amazing progress. The Monitoring for Mums Appeal is aiming to raise more than £4.5 million in response to equipment and training requests for maternity units across the country. This is our most ambitious appeal to date and we will be keeping you up to date on progress as we reach milestones in the campaign. Several hospitals in the North East have received funding for their requested equipment and training. These new fetal monitors and up-to-date training in how to use them, will help to drive down still birth rates, avoid preventable brain injuries and promote normal birth. Alison Russell – Delivery Suite Manager, The James Cook University Hospital. If you would like to keep up to date with the appeal and our work as a charity make sure you follow us on Twitter, Facebook, LinkedIn and our brand new Instagram account! Massive Monitoring for Mums Appeal is Launched! The 8th September saw the launch of our biggest appeal to date – Monitoring for Mums, and also the celebration of a milestone 35 years since we were founded. The dinner created a buzz around the important £4.5 million appeal, and was definitely a night to remember. As guests arrived, Sussex Place – the home of The Royal College of Obstetricians and Gynaecologists – was lit up with sound-checks by the fabulous Trinity Big Band and The Voice’s Karl Loxley. Accompanying the sparkling drinks reception, kindly sponsored by Wine Poole Limited, was the decadent Trinity School String Quartet – a perfect backdrop for colleagues to catch up and guests to introduce each other. As guests ascended up the portrait-dressed staircase, Trinity Big Band’s timeless music provided a jaw-droppingly impressive entrance to the Gala Dinner. Grace was delivered by Professor James Walker, President of Baby Lifeline Training, and guests tucked into a delicious three course meal. The guests were invited to browse the glossy brochures, kindly put together and sponsored by Creative Race, and read about our work and the events to come throughout the night. Our Master of Ceremonies, TV Presenter’s Nick Owen welcomed guests to the impressive Nuffield Hall as everyone took their seats for dinner, and introduced a few familiar names and faces. 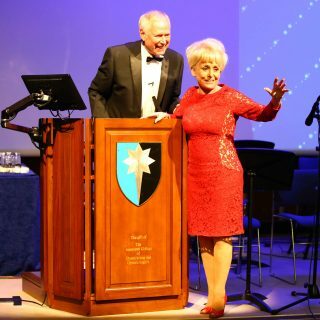 The dinner and appeal was supported by many a household name and face; amongst the celebrity attendees were: Dame Barbara Windsor, TV Presenter Nick Owen, Jonny Labey, Jimmi Harkishin, Elizabeth Emanuel, Georgia Tennant, and our celebrity guest auctioneer for the evening Eric Knowles. Our Patron Dame Judi Dench, who could not attend due to filming commitments, sent a token of her support in the form of a personally painted watercolour for our auction. Once guests had filled their stomachs and raised their glasses, it was time to learn of the importance of the work that Baby Lifeline does, and specifically our newest appeal – Monitoring for Mums. Professor James Drife, President of Baby Lifeline, took to the stage to deliver a sobering reminder of the importance of multidisciplinary training for improving safety for mums and babies, and the lack of funding to support it nationally. Dr David Richmond, President of the Royal College of Obstetricians and Gynaecologists, mirrored this sentiment using statistics to demonstrate that “we can do better”. He noted that 655 babies are born every year with a severe brain injury; a brain injury that will go on to affect their lives and their family’s lives for decades to come. More than 2 babies a day in the UK will die or become severely brain damaged. 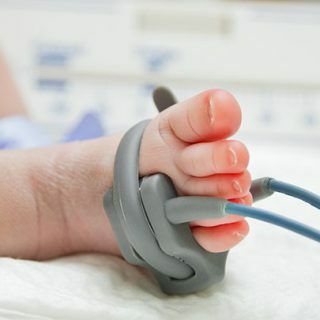 Both Professor Drife and Dr Richmond carried the same message: much of this nationally-experienced suffering can be reduced with investment in training and equipment for hospitals – something that Baby Lifeline is offering across the UK. The Monitoring for Mums Appeal has gone out to all hospitals asking them for their maternity “wish-lists” – giving them a rare opportunity to ask for important equipment and training that they need to improve care for mums and babies in their hospitals. The wish-lists stretch from mobile telephones with headsets to improve communication in the ward, to ultrasound scanning machines to check that babies are healthy inside the womb. After a fun “Big Bang” Luxury Balloon Draw, sponsored by Silva Legal Services, and a lively and successful auction conducted by Eric Knowles, guests settled in to listen to The Voice’s Karl Loxley fill the room with his incredible operatic voice. There are lots of ways to support the campaign, please visit the official website to learn more: www.monitoringformums.co.uk. Full image gallery available to view here. The Monitoring for Mums Appeal aims for the stars! Our Monitoring for Mums Appeal is due to launch at our annual gala dinner on Thursday (8th September). The appeal aims to raise in excess of £4.5 million to provide equipment and training for hospitals across the country. At the beginning of the year we asked hospitals and trusts to send us their requests and wish lists for equipment and training; as part of our continuing work to decrease the number of avoidable infant deaths and injury we set ourselves the mission to raise the necessary funds with our biggest and most ambitious appeal to date. Despite the appeal not being launched yet, the fundraising has already started! We have had the help from wonderful supporters and have managed to provide equipment and training in the North East, South West, and we are putting plans in place to do the same in the Midlands. As with any appeal of this nature we are calling upon any and every one to help our cause and have had some real heroes step forward already. Lily is the granddaughter of our wonderful former Trustee the late Don Barrett. She persuaded her friends to raise money for Baby Lifeline for “her Grampy”, and thought the money “may help babies and mums”. 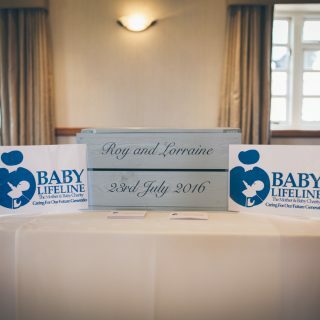 Roy and Lorraine got married in July and kindly asked their guests to donate money to Baby Lifeline as a wedding gift. They raised an amazing £1,500, which will go towards equipment purchases for the local hospital in Coventry and Warwickshire. Michelle sadly lost her baby daughter, Lara, in November of last year. 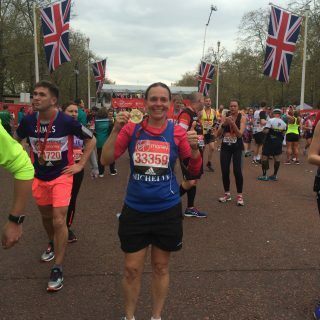 She ran the 2016 Virgin London Marathon for Baby Lifeline as a way of doing something positive to help other babies and maternity units. 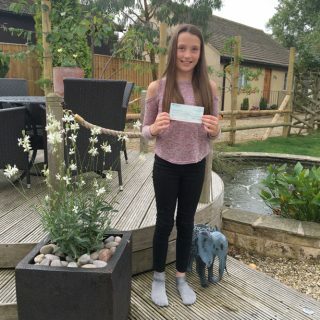 She raised an incredible £7,063.88 with the support of her school colleagues and children at Ashton Park School, which has bought an important piece of equipment for North Bristol NHS Trust. If you would like to donate or get involved with fundraising you can do so through our JustGiving campaign page, look for your local hospital’s needs or, for general information about the appeal you can visit our Monitoring for Mums Appeal website. We are also on Facebook, Twitter and LinkedIn, so give us a follow to stay up to date with all the latest news. Monitoring for Mums Appeal launches this September! 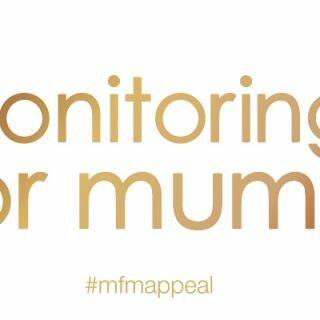 We are so excited to announce that our Monitoring for Mums Appeal is due to launch on Thursday 8th September at our Gala Dinner at the Royal College of Obstetricians and Gynaecologists. We have had equipment requests from over 80 maternity units across the country amounting to more than £4.5 million worth of requests – and they’re still coming in – making this our biggest appeal to date. Obtaining the equipment for these units will improve standards of care for mothers and babies across the UK – making a real difference to thousands of families by reducing stillbirth rates, avoiding preventable brain injuries, and promoting normal birth. The appeal will be launched as part of our 35th Anniversary Dinner on the 8th September at RCOG in London. We have Key Note Speakers Dr David Richmond, president of the RCOG and Professor James Drife, President of Baby Lifeline. We also have entertainment from BBC’s The Voice contestant, Karl Loxley and, after last years’ rousing performance the Trinity School’s Big Band has been invited back. Keep up to date with all of our news and opportunities to help raise funds by following us on Facebook, Twitter and LinkedIn!